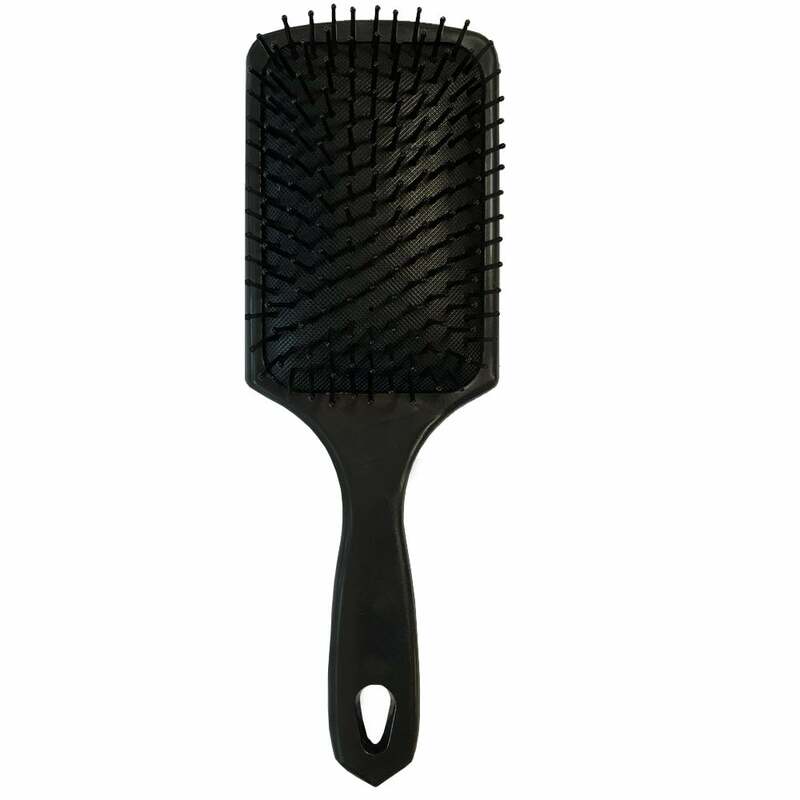 Hair Evolution Paddle Brush is an easy to grip hairbrush. Featuring ball-tipped nylon pins on a soft rubber air cushion base, this brush is perfect for detangling, smoothing and grooming all types of hair from medium to long. Suitable for both professionals and at-home users alike. Review Summary - 4.6 out of 5 based on 23 ratings. The brush itself is a great size but once I took it out of its packaging a bristle was noticeably missing in its centre line. Guess you get what you pay for. Not a good brush and it has a nasty plastic smell. Great brush - one very happy daughter. Would recommend.